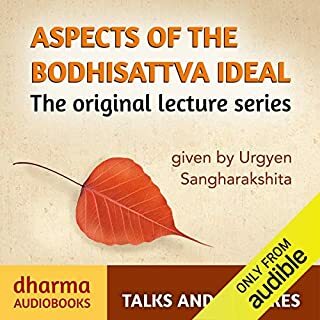 So many books about buddhism seem to be in the live lecture format. Part of the reason that I chose this was that it is not in this format. This is a proper book. It is read at a sensible pace, free of extended pauses. 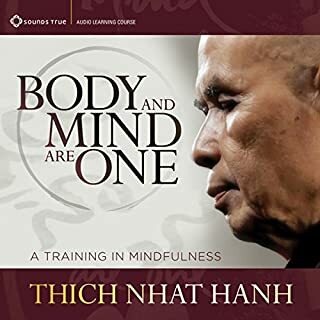 Most importantly this book refers to aspects of teaching from various schools of Buddhism. There is content here and plenty of it. The writing is skillful, precise, and economical. I will definitely listen to these five hours again. What better reccomendation is there than that? A good mix of thorough knowledge and basic explanation, technical terms and basic understanding. 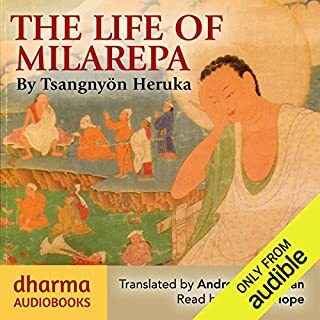 It has a well reasoned structure but as an audio book, sometimes difficult to grasp all the Sanskrit content. 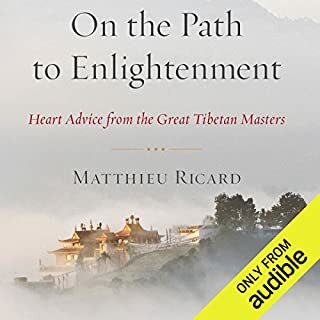 As an amateur Buddhist student and practitioner I've done a fair amount of study on the topic, and I must say that this audiobook has offered the most clear, interesting, and inspiring explanation of the Noble Eightfold Path that I've come across. 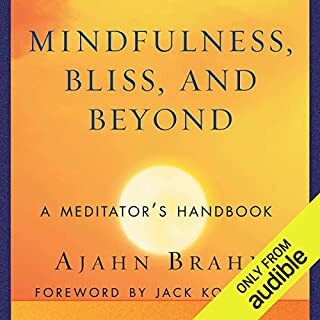 The author takes us far beyond the conventional ways in which most of us learn about the path, giving a much more profound (and correct) interpretation of each of the eight steps. I now have a much greater understanding of the path, and of Buddhism itself. 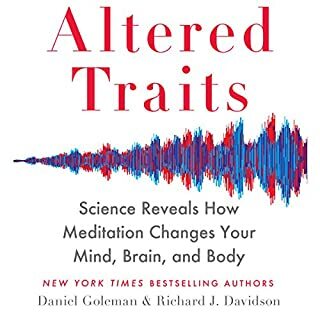 I highly recommend this to both students and practitioners of all levels. If you could sum up Buddha's Noble Eightfold Path in three words, what would they be? Which character – as performed by Kulananda – was your favorite? The waistral who learned compassion. Not really. Too much to absorb. Needed to stop and think about it in portions to better savor it. Too bad it's not in book format. 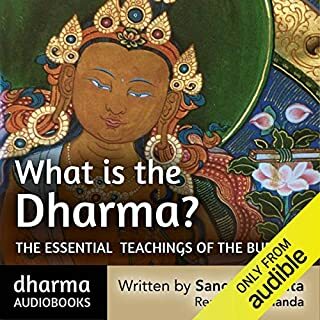 My first book on Buddhism. Urgyen knows the path and guided us towards ours. Kulananda exceptionally delivered a jewel. Good information. Presented very well. There are many considerations. Nice to have such wise explanations. 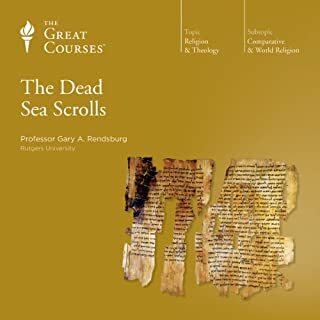 I have now completed my 2nd full listening of this work, and will start again. 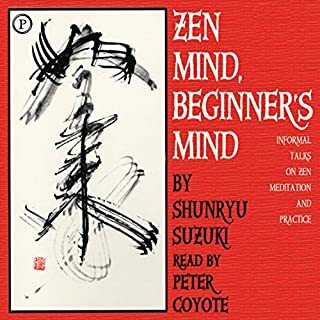 After my morning meditation I listen to this work for 15 minutes. 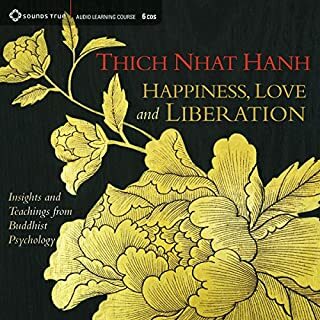 In order to fully understand and actualize the teachings as laid out, to follow this path, one must constantly strive to dig deep into this way of approaching life and integrating these teachings into our daily existence in our attempt to live an unconditioned life. 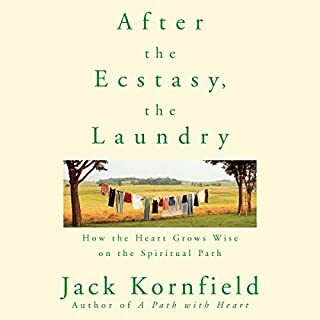 This work is a tremendous help in guidance toward that goal. 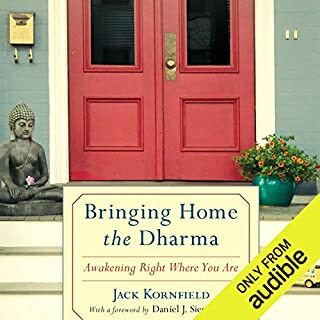 What would have made Buddha's Noble Eightfold Path better? 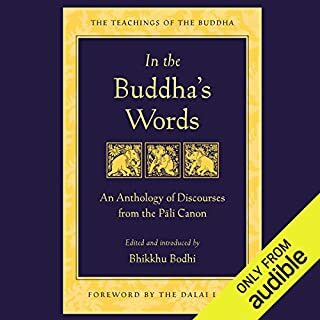 if Buddhists had fightin' words, they would have but one, and it would be, "Hinayana." 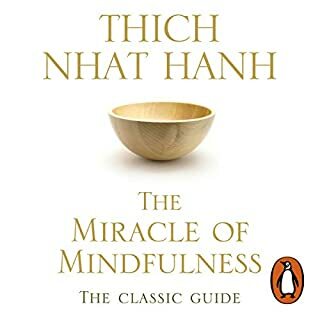 anyone who refers to any Buddhist path as "Hinayana" demonstrates a lack of awareness not only of Buddhist principles, but of right conduct even for non-Buddhists. to refer to any path as "Hinayana" is to disparage it (however unwittingly - that is, out of however much ignorance). to use that word as a descriptor is to look down one's nose at the path so described, and s/he who looks down her/his nose at anyone else's path demonstrates only that they have very much yet to learn. 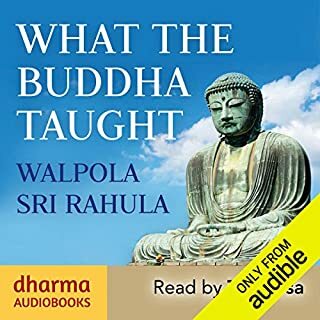 Has Buddha's Noble Eightfold Path turned you off from other books in this genre? What does Kulananda bring to the story that you wouldn’t experience if you just read the book? he's got a lovely, gravelly voice with a nice British (or something) accent. 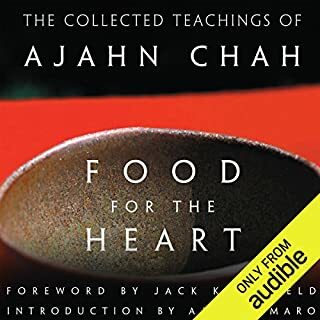 his vocal inflections indicate to me that he might share the author's disdain for some Buddhist paths; this could be because he does, or it could just be because he's a damn good reader. i'm not sure which it is. 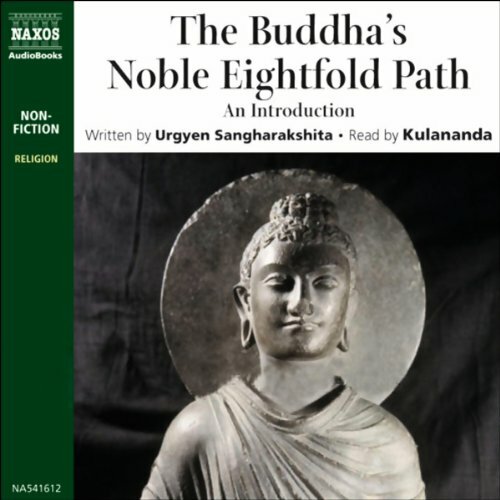 If you could play editor, what scene or scenes would you have cut from Buddha's Noble Eightfold Path? i might have cut the disrespectful, disdainful word "Hinayana." but that would probably only have served to mask the author's underlying disrespect and disdain. 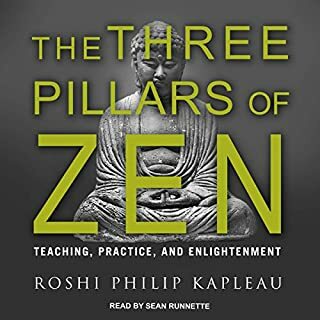 What did you like best about Buddha's Noble Eightfold Path? What did you like least? The information contained within was somewhat new, but presented in a slightly muddled manner. The story wasn't interesting, although it was slightly informative. 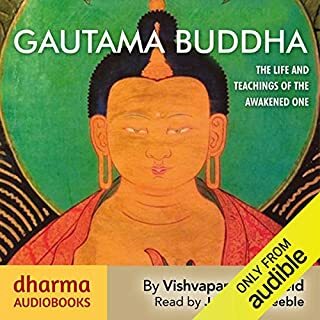 Would you listen to another book narrated by Kulananda? Did Buddha's Noble Eightfold Path inspire you to do anything?